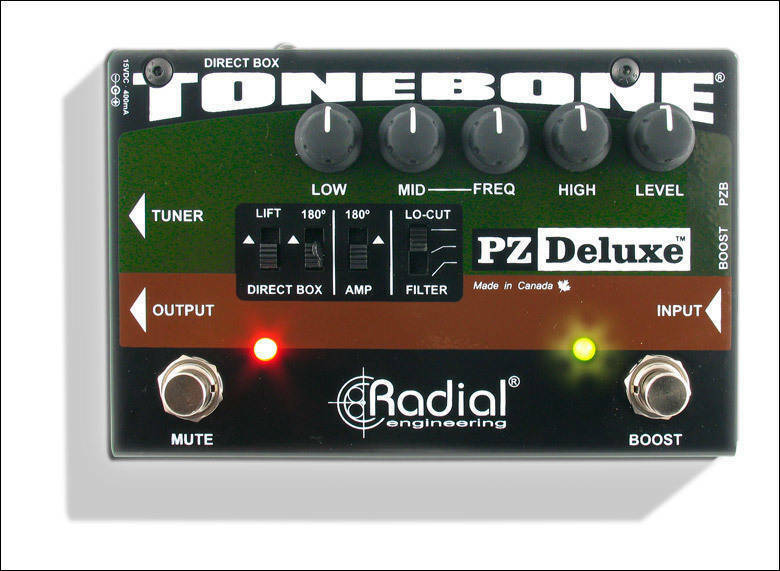 And like most studio preamps, the PZ-Deluxe begins with a low noise front end that is capable of exceptional dynamics to adapt to all instruments including acoustic guitar, upright bass, mandolin and violin no matter what type of pickup system is being used. 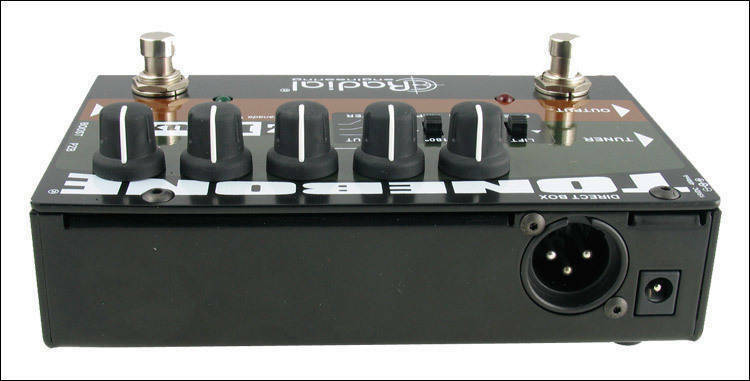 For piezo transducers, a special PZB gain stage may be engaged that increases the input impedance to 10 meg-Ohms to eliminate squawk and explosive peaks that are common with other systems. This eliminates the need for a separate preamp - which is of particular importance for those that do not want to cut a hole into their vintage guitar. Excellent pedal/DI! I've owned and used a wide number of acoustic pedals and DIs over the years, including the LR Baggs PADI, Aphex Acoustic Xciter, Sansamp Acoustic DI, Fishman Aura blender and Aura Sixteen, Yamaha AG Stomp... As you can tell I really enjoy the acoustic quest for tone. (Don't get me started on my electric quest for tone haha!). There are a lot of good qualities about all of the above. I've mostly been using the Fishman Aura into the LR Baggs until now. I picked up the PZ Deluxe, not sure if it would be any better than the others I've used... but lets just say I'm keeping it. :) Radial builds really high quality, solid gear, and this is no exception. The Eq is really nice and very responsive, and I love having the boost and mute functions as well. Regarding tone, my guitar sounds more "present" and full with more note definition than when I was playing through other gear. With the LR Baggs the sound was a touch warmer, but the high strings sounded a little thin and the notes also seemed to kind of overlap a little bit compared to the Radial. With this every note rings out nice and clear, which is especially helpful when fingerpicking or playing a lead. I still really like the LR Baggs and Fishman gear, but I am happily running through the Radial now.